One of my favourite things to do on a warm sunny day is to jump on the Metro and head to the coast for a nice long stroll along the seafront. 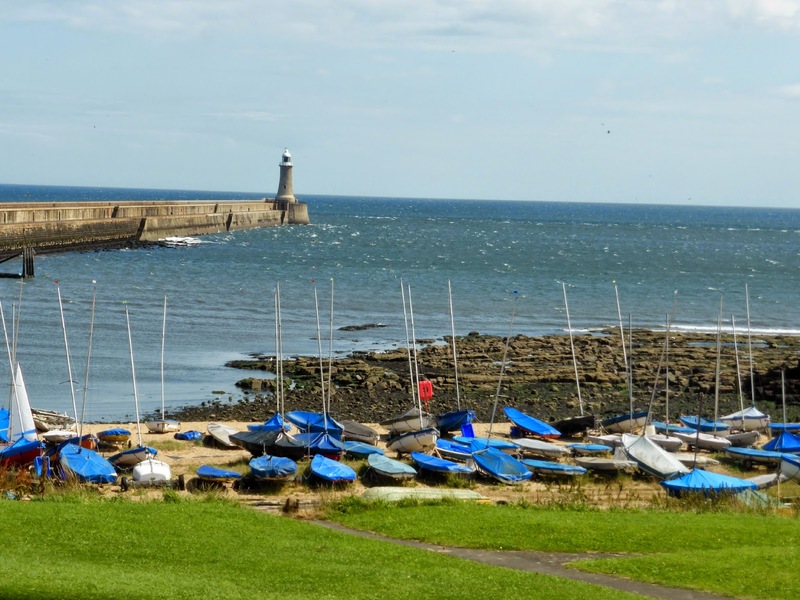 The beauty of our coastline here in Newcastle is that you can easily hop off at one Metro station and do a couple of hours walking along the seafront before finding a different Metro stop further along. I love walking in the sunshine, it always makes me feel so healthy getting some fresh sea air into my lungs and it's great how you can enjoy a day out without spending a fortune. Our most recent coastal adventure took us to North Shields, an area of the coast that I haven't really explored properly before. 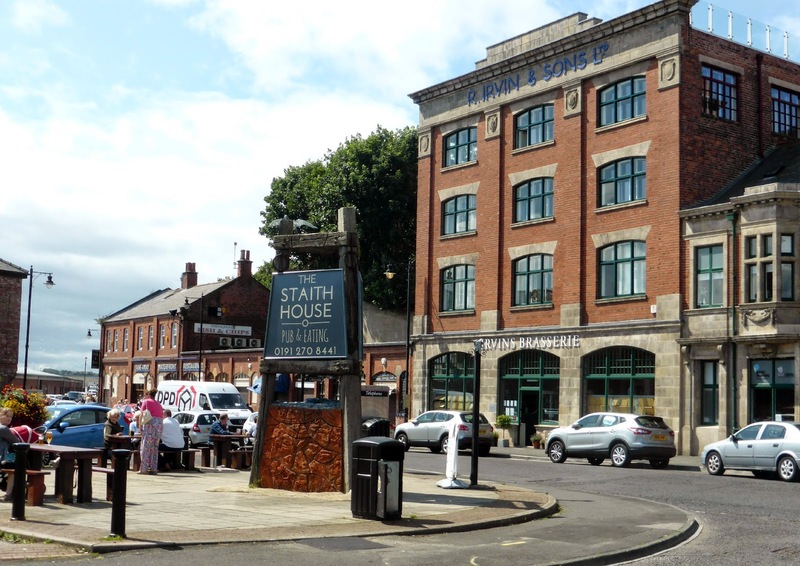 North Shields is a small town to the north of the River Tyne. Sitting pretty on a fishing quay, its a hive of activity and a great place to explore with its fresh fish outlets and lovely restaurants, mostly specialising in seafood. Unfortunately I'm still yet to try any of the restaurants at the quay but it's definitely on my list of things to do. 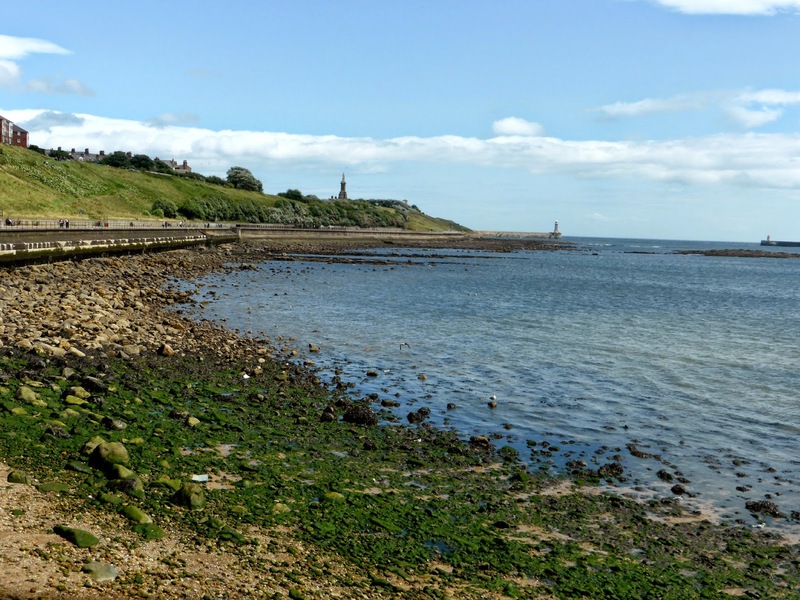 For this adventure we were on a walking mission so we headed down to the water and followed the path towards Tynemouth, our next destination. 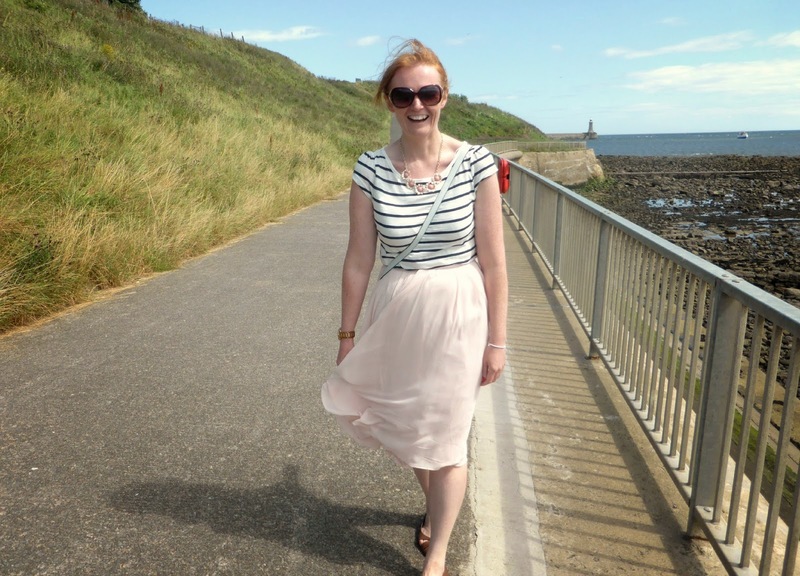 Although it was lovely and warm there was a very strong wind, luckily I'd dressed appropriately in a maxi skirt. 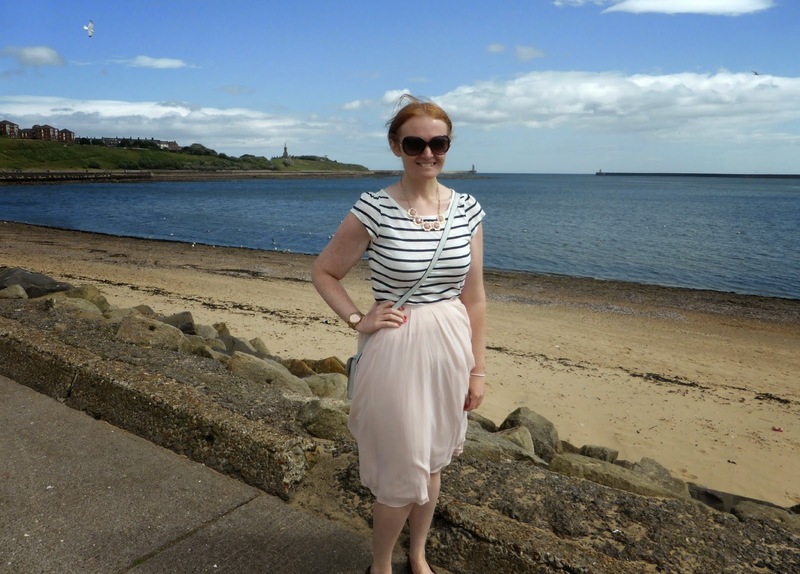 You can't live in the North East without owning some light weight Summer trousers and long skirts, they work well with the high winds that we often get. 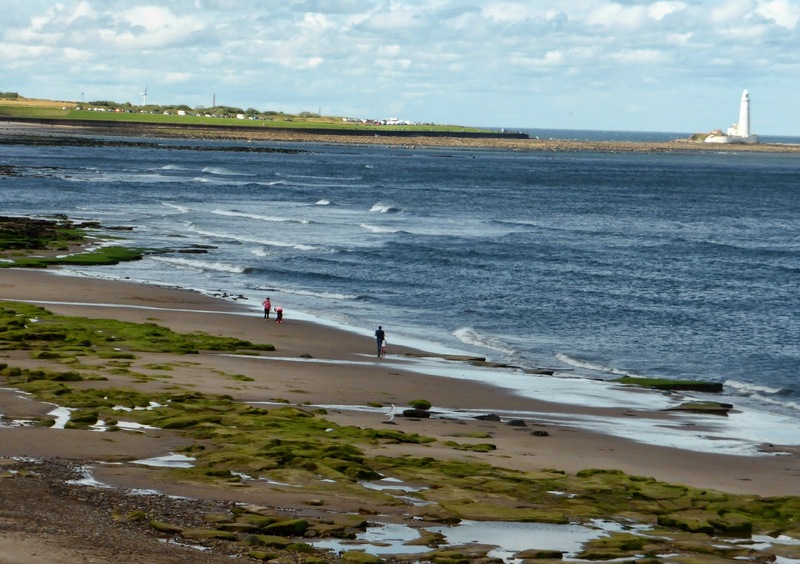 It was so beautiful walking along the path and looking across the water to spot South Shields where we'd been a few weekends previously. Everyone was out enjoying the beautiful weather so we passed loads of cyclists and dog walkers. One dog decided to lick Simon on the leg whilst he was taking a photo for me, which gave us this lovely natural shot. It's always special when you get a genuine smile on camera and I absolutely love this picture. It wasn't long before our walk started leading us uphill and when we reached the top we were greeted with a beautiful view of Tynemouth Priory and Pier. Tynemouth is, without a doubt, my favourite coastal town on the Metro line. 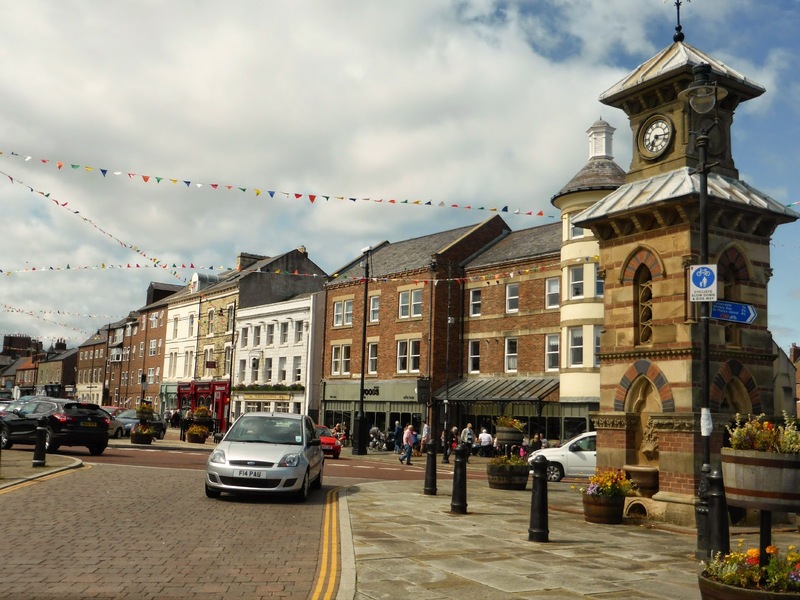 Its pretty main street is decked with bunting and it has a huge range of lovely coffee shops, tea rooms and pubs to eat in. It has featured on my blog many times before and is probably my most visited place in the North East, I just can't stay away! This time however Simon had a very specific lunchtime agenda. Ever since I'd announced I'd like to go to the coast he had planned to enjoy an ice-cream sundae at Beaches and Cream. 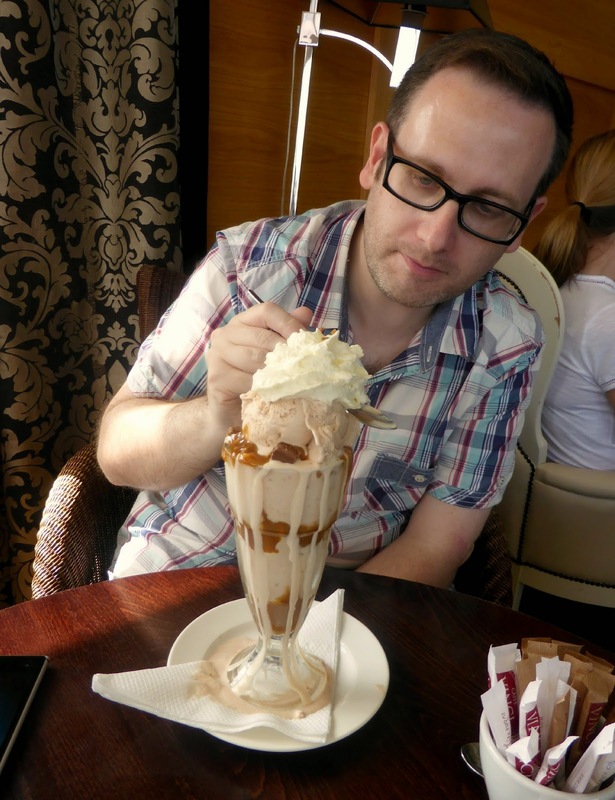 Simon knew immediately that he was going to have the Toffee Sundae which came in a huge glass stuffed full of ice-cream, mars bar, daim bar, cream and toffee sauce. It was so huge it couldn't fit into the glass. 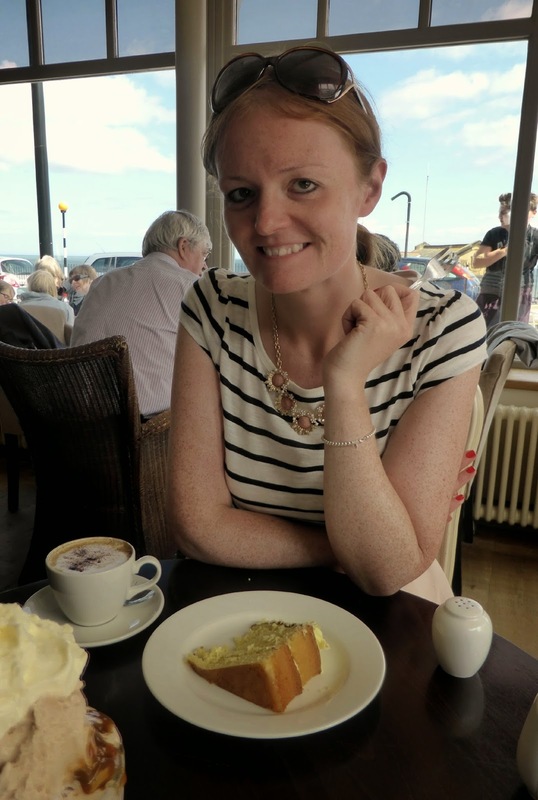 I was slightly more reserved and had a slice of lemon cake with a cappuccino. I love nothing more at the weekends than having cake for a late lunch. It definitely beats the salad I have at work every day. We finished our adventure in Whitley Bay, enjoying the beautiful views of St Mary's Lighthouse before heading into the town to get the Metro home. I'm hoping we get another blast of lovely weather so I can enjoy the seaside again before the Summer is over. YAY! Although most weekends I completely overdo it with them! Beautiful photos, I love the top! I always forget that there are beaches outside Devon!! The photo of you smiling is a beaut and you know I'm your biggest fan but that teeny cake over that MASSIVE sundae?? No, no, no, no no!